VMware ESXi Update Failed: Cannot run upgrade script on host. Upon exploring the issue; came across a KB article that suggested to move the boot sate file up a folder level. But that didn’t helped either. The issue was only solved when the H/A agent (VMware FDM) was removed manually. Although there were other servers in the cluster with agents installed and they upgraded seamlessly. Anyhow the manual uninstall solved the issue. 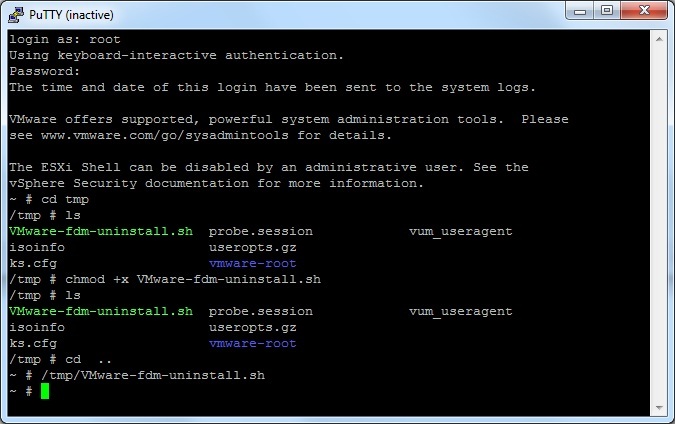 Following snapshot shows the commands on how to uninstall the VMware FDM agent manually.